Before we talk about the book, let me give a brief description about its author, Napolean Hill. He was born in a poor uneducated family. His step mother, who was an educated lady, traded a gun for a typewriter and taught him how to use it. He started writing wonderful articles and stories from the age of fifteen. 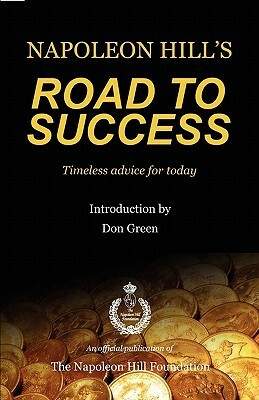 His book “Road to Success” is a compilation of articles written by him when he studied the lives of successful people. He has symbolized these articles as ‘Billboards on the road to success’. According to Hill, these characteristics are sine-qua-non (prerequisite) of achieving a massive success. A man’s success should be judged, not by what he had achieved, but by the obstacles he has overcome. Hill introduces the reader with this thought-provoking line in the first chapter itself. You can very well anticipate, what the final chapters can have in store for the avid reader. On the plus points, the book is short, fast moving and full of examples. On the contrary, too much monotonousness leads to boredom, loss of concentration and sometimes skipping of the essential points (which victimized me too). There are those who do the right thing only when necessity kicks them from behind, and these get indifference instead of honors, and a pittance for pay. This kind spends most of the time polishing a bench with a hard luck story. Well, the reality from author’s point of view is that successful people are too busy succeeding to waste any of time in criticizing anyone (or their luck). Overall, it is a wonderful read and should be read if you like to read a pure non-fiction self-help book. Previous Post Do you face challenges? You are so lucky. websites on the web. I’m going to highly recommend this website!